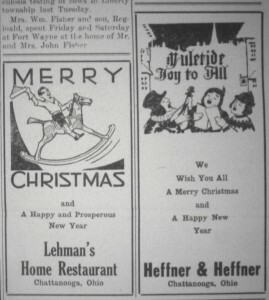 In 1933 Chattanooga, Ohio, was home to a number of businesses and many of them advertised and sent Christmas greetings in The Willshire Herald. 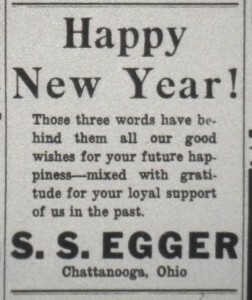 There was nearly a full page of Chattanooga ads in the paper and below are some of them. 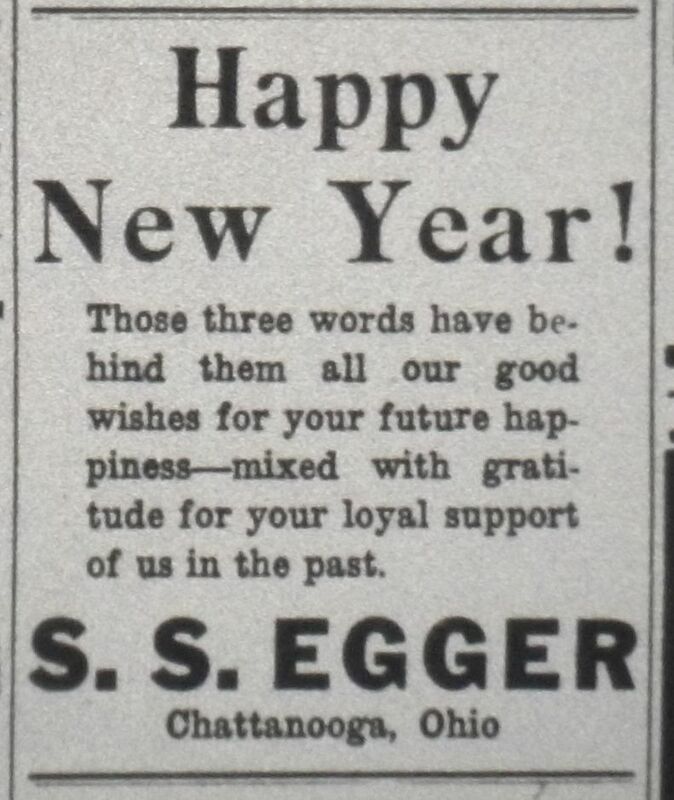 Christmas Greetings from S.S. Egger, grocer, undertaker, and postmaster, whose business was south of the current Chatt Bar; Andrews Garage, where you could have your car winterized; Smith & Sons Hardware; and Vining Stock Yard, where there was a community sale every Friday night that featured good native farm horses, good cows, hogs, and sheep. 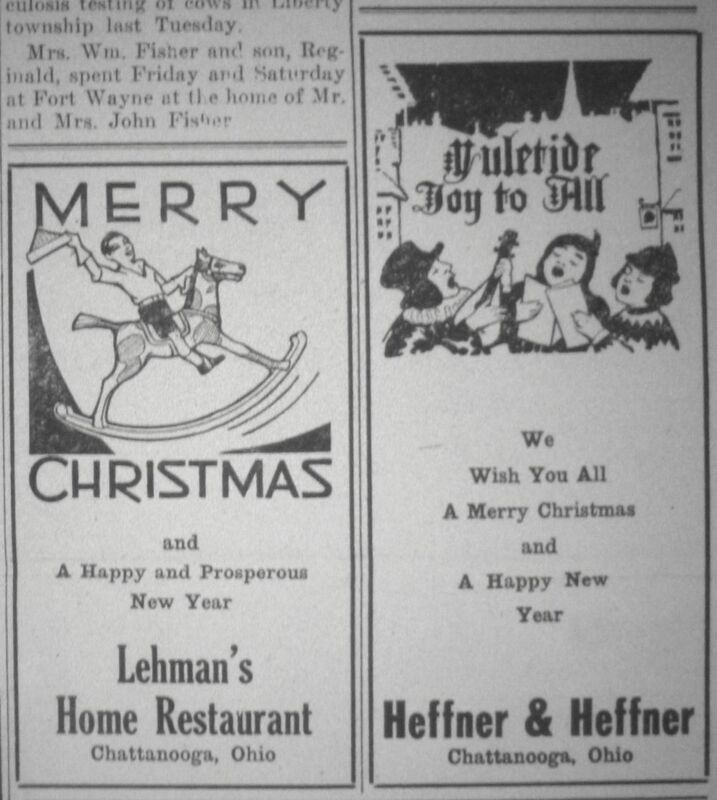 Merry Christmas from Lehman’s Home Restaurant and Yuletide Joy to All from Heffner & Heffner. Heffner’s Grocery, Chattanooga, Ohio, undated photo. Ivan Johnson sold Willard batteries, Goodyear tires, and Sinclair Products at his garage. 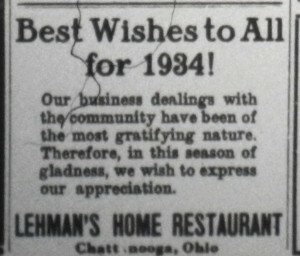 Johnson’s Garage, 1933 Willshire Herald. 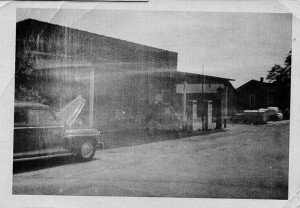 Ivan Johnson’s Garage, Chattanooga, unknown date. 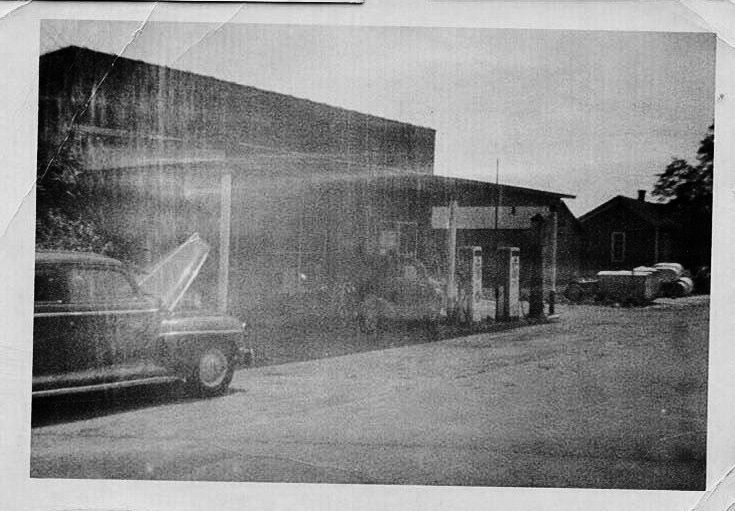 Wendel’s Motor Sales sold new and used cars and provided general automobile and body and fender repair. My parents purchased several Pontiac cars from them. Carl Schroeder’s Barber Shop, where you could get a hair cut for 25 cents and a shave for 15 cents. 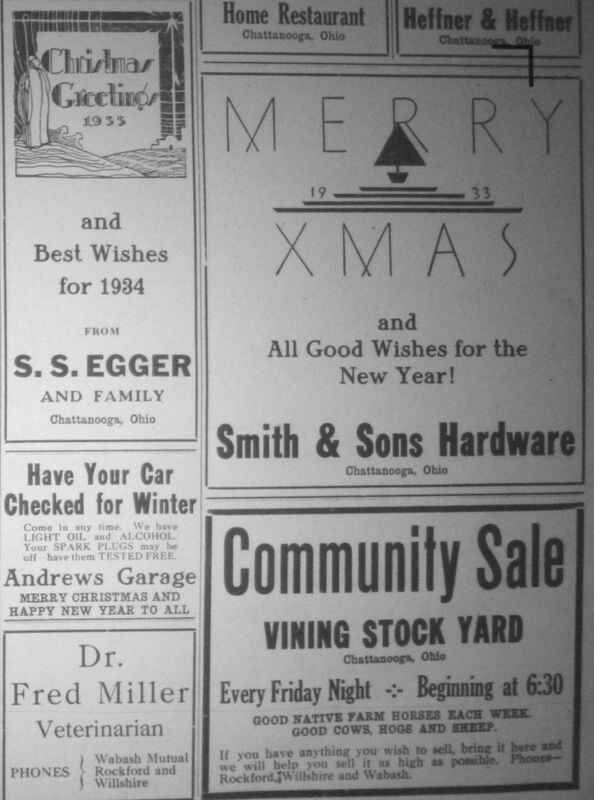 Smith & Sons Hardware, with Tin Shop manager Jack Brasher, offered sheet metal work of all kind, roofing, spouting, and plumbing work. I remember hearing the name Jack Brasher years ago. A. Smith had a portable feed mill which ground and mixed oats, barley, wheat, corn, rye, hay, soybeans, alfalfa, corn stalks, and chicken feed. 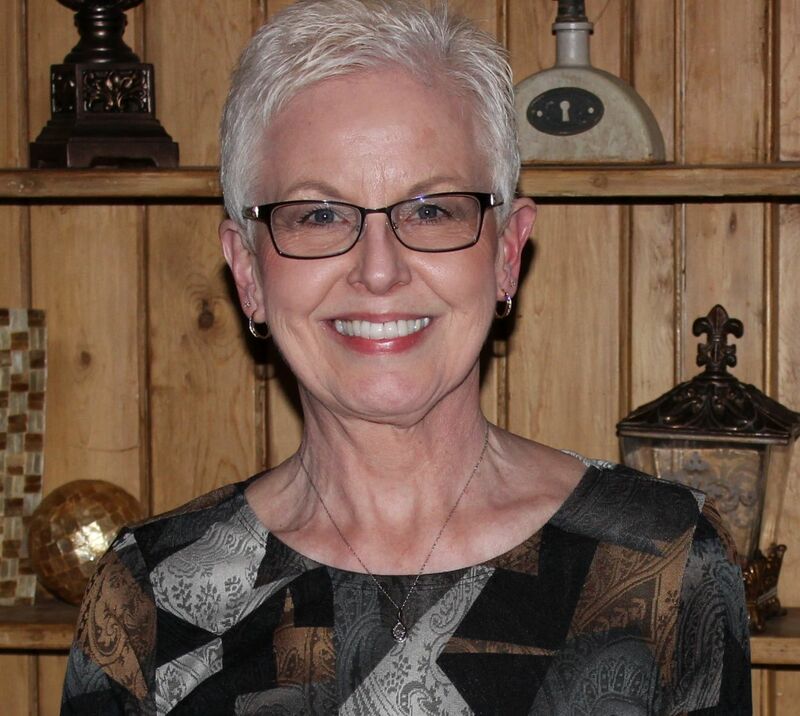 Dr. Metcalf, physician and surgeon in Chattanooga. I wonder where his office was? 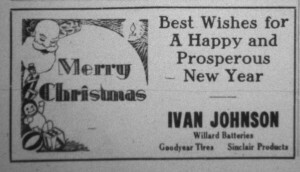 The Willshire Herald, 28 December 1933, p. 6. 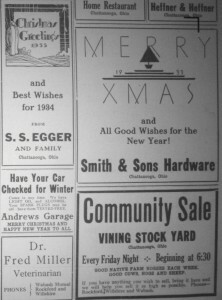 I posted these Christmas items once before but it is always fun to remember and reminisce about Chatt in past years. 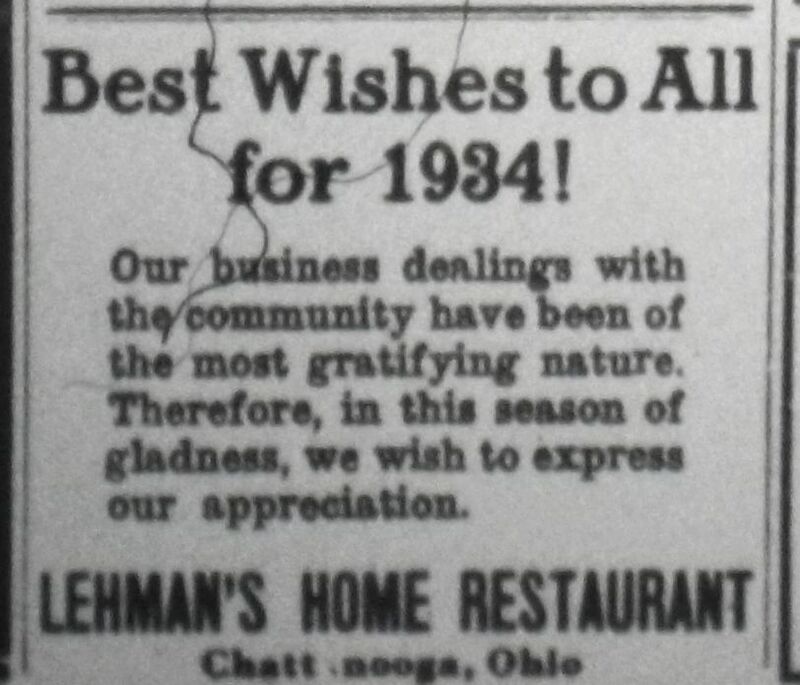 Yes, Chatt was a thriving community in 1933 and these ads give us a good idea of the businesses and services offered in the village over 80 years ago. Thanks so much for this report. I remember some of those places and people, but some of them were gone by the time I was old enough to know anything. I certainly enjoy all that you have shared with us. As you can tell, I enjoy reminiscing and recalling how Chatt has changed over the years. I also remember a few of the folks and heard the names of some of the others. Thanks for reading! 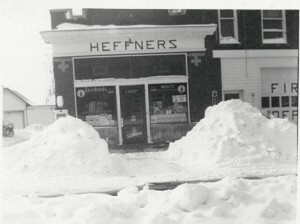 I do not have a date for the Heffner store photo but it is the only Heffner store photo I have, so I thought it would be a nice addition to the story. Evidently the photo was taken after 1950. That is good to know. Thanks for reading!